Posted on May 19, 2015 at 5:01:00 am by Sara W.
Located in Kreager Park, off North River Road, this park was the brainchild of a girl named Taylor Reuille, who wanted to see a park for children of all ability levels. 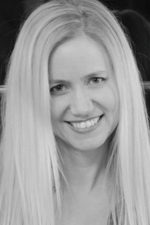 “There are thousands of kids with disabilities — most of them are not able to play at a regular playground because their needs are not accommodated,” she said. With intense fundraising, city financial support and a grant from the Pepsi Refresh Challenge, Taylor’s Dream Boundless Park was built. With playground equipment that can be accessed by all children including those in wheelchairs, Taylor’s Dream Boundless Playground offers children physical, sensory and developmental support and fun. 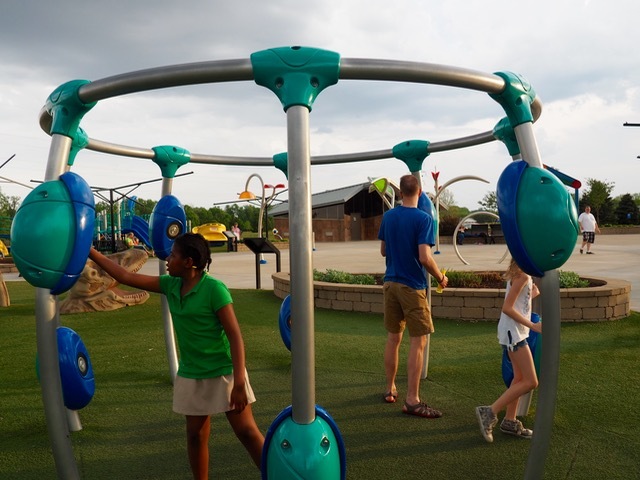 Taylor’s Dream was not only Indiana&apos;s first Boundless Playground, it was recently honored as a top 50 playground, snagging the 21st spot out of 50 best playgrounds in the country by Early Childhood Education Zone. After having a child in a wheelchair, I found the need for wheelchair accessible playgrounds to be sorely lacking. First, most playgrounds do not meet the needs of a child who has a physical disability, from the mulch that makes it difficult to push a wheelchair, to the swings that don’t support a child with poor trunk control or balance problems. But Taylor’s Dream is different, as it provides play opportunities for children in a wheelchair and those who have normal abilities. 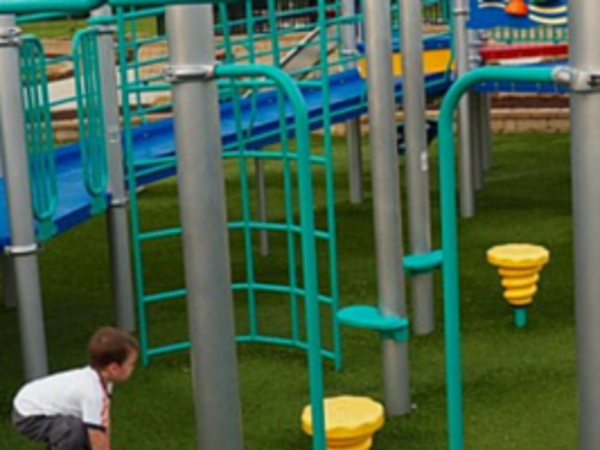 From its astroturf surface to the numerous ramps leading to different play areas, Taylor’s Boundless Playground is perfect for a child of any ability level. Three different areas, or pods, were designed for different aged children’s needs. The Alpha Pod (aged 2-5) was designed for the youngest children and contains a large ramp with many activities including an electronic steering wheel for young drivers, slides, things to climb up, step on and more. 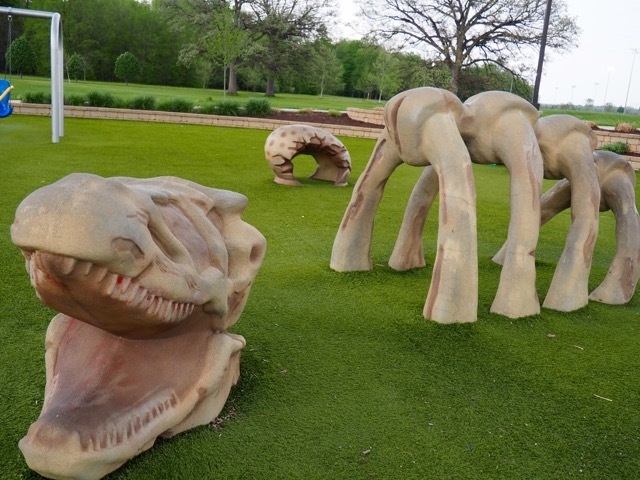 The Beta Pod, designed for children of all ages (2-12 years), provides a multi-sensory play area featuring a giant T-Rex skeleton to climb and an outdoor computerized play system called the Playworld NEOS 360, which encourages team work and a good workout. Regular swings, as well as swings for children who need extra support with a shoulder harness and full back, are also available. The Gamma Pod, designed for older children (5 – 12 years), offers opportunities for children to play together, including using the giant Aero Glider, which is a multi-user rocker accommodating two wheelchairs. This section is the biggest and is where our family spent the most time--climbing, balancing, hanging and spinning on the unique playground equipment. Taylor’s Dream Boundless playground is worth the drive. This park not only offers plenty of family fun, it would be a great day outing since the park also includes a splash pad, shaded areas, and picnic tables. Taylor’s Dream Boundless Playground will be sure to satisfy kids of all ages and ability levels.